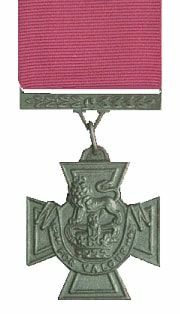 The Victoria Cross (VC) is the highest award of the United Kingdom honours system. It is awarded for gallantry "in the face of the enemy" to members of the British armed forces. It may be awarded posthumously. It was previously awarded to Commonwealth countries, most of which have established their own honours systems and no longer recommend British honours. It may be awarded to a person of any military rank in any service and to civilians under military command although no civilian has received the award since 1879. ​ Since the first awards were presented by Queen Victoria in 1857, two thirds of all awards have been personally presented by the British monarch. These investitures are usually held at Buckingham Palace. 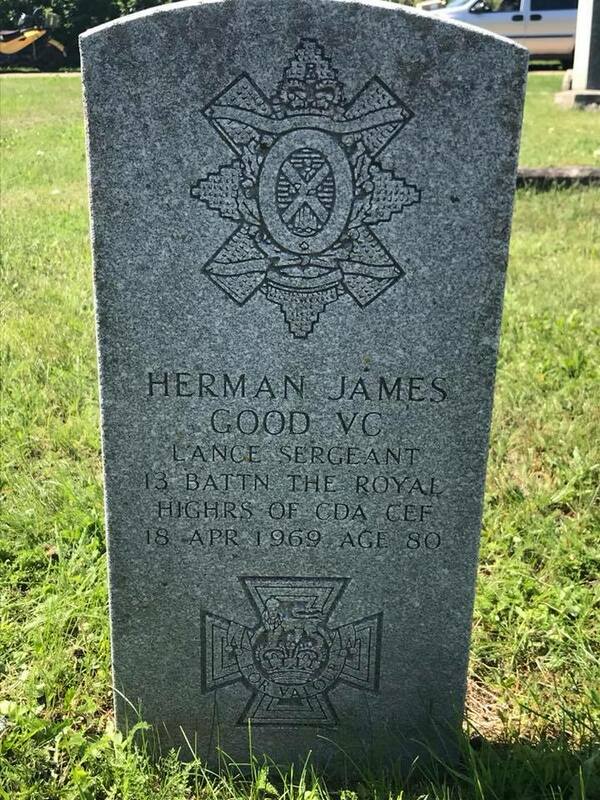 Each year 2 CAV members of Dunkirk and Theipval Units organize graveside memorial services for these Victoria Cross winners in New Brunswick and Maine. 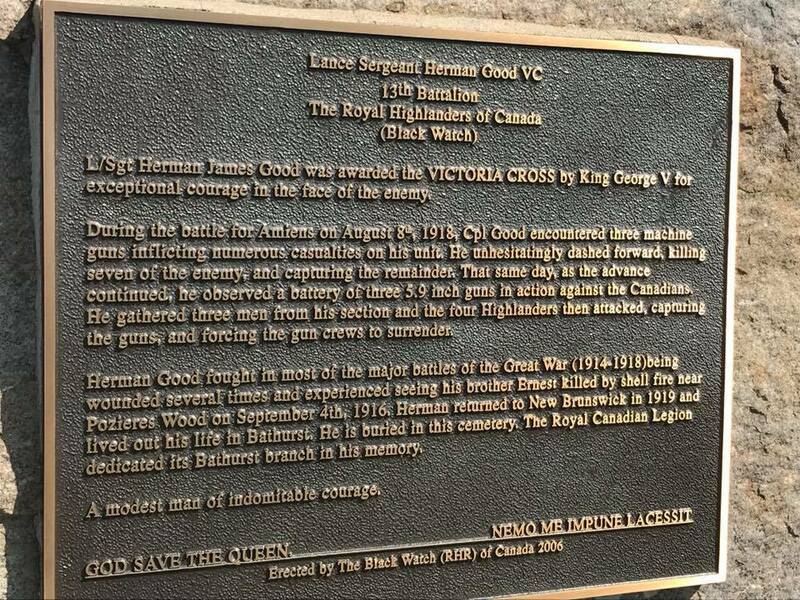 Herman James Good, VC (29 November 1887 – 18 April 1969) was a soldier in the Canadian Expeditionary Force during the First World War and a recipient of the Victoria Cross, the highest award for gallantry "in the face of the enemy" that can be awarded to British and Commonwealth forces. 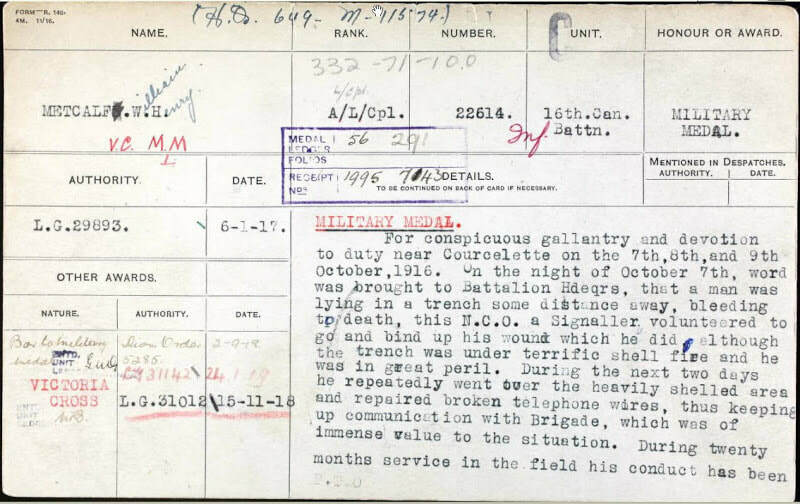 Good received the award for his actions during the Battle of Amiens in August 1918, while fighting around Hangard Wood. On 29 June 1915, Good enlisted in the Canadian Expeditionary Force (CEF) on 29 June 1915 in Sussex, New Brunswick. He embarked for England in late October 1915. Arriving there the following month, he was posted to the 2nd Pioneer Battalion serving on the Western Front. In April 1916, he transferred to the 13th (Royal Highlanders of Canada) Battalion, 3rd Brigade, 1st Canadian Division. Two months later, he received gunshot wounds to his buttocks which required six weeks of treatment before he could return to his unit. He experienced a bout of shell shock in early October and was in and out of care for the next several weeks. He was back with the 13th Battalion by early 1917. He became an acting lance corporal in mid-1917, following a further period in hospital with the mumps, and his rank was made substantive by the end of the year. In May 1918, he was promoted again, to corporal. On 8 August 1918, the opening day of the Battle of Amiens, and the beginning of the Hundred Days Offensive, the 3rd Brigade, accompanied by a battalion of tanks, was at the forefront of the 1st Division's advance. The 13th Battalion had secured Aubercourt village but became held up by machine gun posts in the vicinity of Hangard Wood. At the head of his company, Good attacked the machine guns and put them out of action. Later in the day he located a battery of field guns and led a group of men in the capture of them. Good's battalion was able to push on to its objective and consolidate its positions. He was recognised for his deeds of 8 August 1918 by being awarded the Victoria Cross (VC). "For most conspicuous bravery and leading when in attack his company was held up by heavy fire from three enemy machine-guns, which were seriously delaying the advance. Realising the gravity of the situation, this N.C.O. dashed forward alone, killing several of the garrison, and capturing the remainder. Later on, Corporal Good, while alone, encountered a battery of 5-inch guns, which were in action at the time. Collecting three men of his section, he charged the battery under point-blank fire and captured the entire crews of three guns." The next month, Good was promoted to lance sergeant. He received his VC in a ceremony at Buckingham Palace on 29 March 1919. Soon afterwards, Good returned to Canada aboard the RMS Olympic. He was formally discharged from the CEF on 26 April 1919. Good resumed his pre-war employment, working in the lumber industry. He later became a fish and game warden, serving in this capacity for 20 years. In his retirement, he lived in Bathurst, where on 13 April 1969 he suffered a stroke. He died five days later. After a funeral service at St George's Church, he was buried with military honours in St Alban's Cemetery in Bathurst. 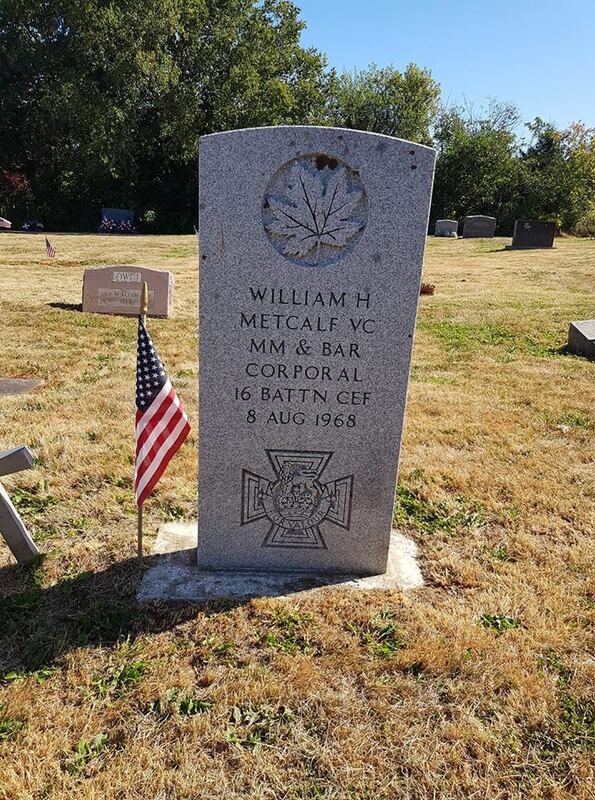 William Henry Metcalf VC, MM & Bar (29 January 1894 – 8 August 1968) was an American soldier in the Canadian Army during World War I.
Metcalf was a recipient of the Victoria Cross, the highest award for gallantry in the face of the enemy that can be awarded to British and Commonwealth forces. 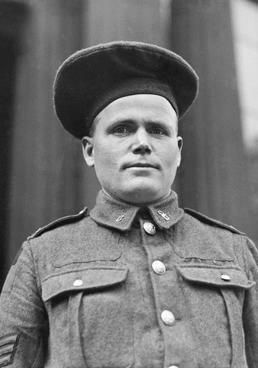 Although Metcalf was born in the United States, Metcalf is also considered Canadian since he joined the Canadian Expeditionary Force in 1914. He is one of only six Americans to receive the Victoria Cross. While "Bill" was fishing on the Miramichi in New Brunswick in 1914, news came of the break out of hostilities that would lead to World War I. He tried twice to join the Canadian forces but was not yet 21 and needed the permission of his mother, who would not sign. The third time he "increased" his age and got in. When his mother found out, she raised the roof. When his ship landed in England, the American Ambassador was waiting at the dock and went down the line of men looking for one William Henry Metcalf. When he found a man by that name, he confronted him but the soldier said he was from St. David Parish, New Brunswick, not the particular Metcalf the Ambassador was looking for. The commander interjected hopefully that he knew there were a lot of Metcalfs in St. David Parish. The Ambassador withdrew. He was 23 years old, and a lance corporal in the 16th (Canadian Scottish) Battalion, Canadian Expeditionary Force, during the First World War when the following deed took place for which he was awarded the VC. 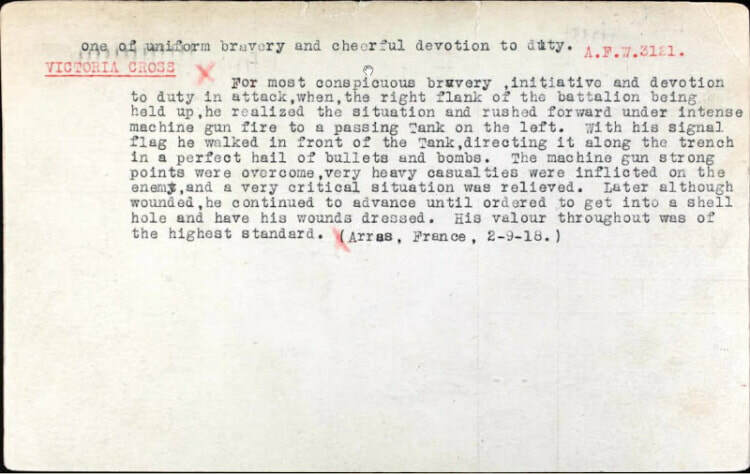 On 2 September 1918 at Arras, France, when the right flank of the battalion was held up, Lance Corporal Metcalf rushed forward under intense machine-gun fire to a passing tank and with his signal flag walked in front of the tank directing it along the trench in a perfect hail of bullets and bombs. The machine-gun strong-point was overcome, very heavy casualties were inflicted and a critical situation was relieved. Later, although wounded, Corporal Metcalf continued to advance until ordered to get into a shell-hole and have his wounds dressed. No. 22614 L./Cpl. William Henry Metcalf, M.M., Manitoba R.
"For most conspicuous bravery, initiative and devotion to duty in attack, when, the right flank of the battalion being held up, he realised the situation and rushed forward under intense machine-gun fire to a passing Tank on the left. With his signal flag he walked in front of the Tank, directing it along the trench in a perfect hail of bullets and bombs. The machine-gun strong points were overcome, very heavy casualties were inflicted on the enemy, and a very critical situation was relieved. Later, although wounded, he continued to advance until ordered to get into a shell hole and have his wounds dressed. His valour throughout was of the highest standard." William Metcalf survived the First World War and returned to his native Maine and worked as a motor mechanic for the rest of his life. He died on 8th August 1968 in South Portland and was buried in the Bayside Cemetery Eastport, Maine. At his funeral his casket was covered with the Union Flag of Great Britain. 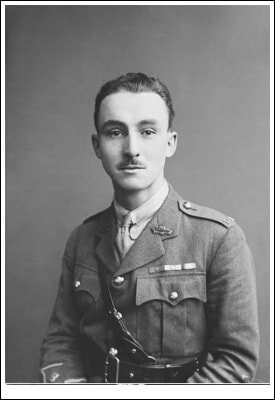 Brigadier Milton Fowler Gregg, VC, PC, OC, CBE, MC, , ED, CD (10 April 1892 – 13 March 1978) was a Canadian military officer and First World War recipient of the Victoria Cross, the highest award for gallantry in the face of the enemy that can be awarded to British and Commonwealth forces. In later life, he was a Member of the Canadian Parliament, cabinet minister, academic, soldier and diplomat. Gregg was born in 1892 in Mountain Dale, Kings County, New Brunswick, the son of Elizabeth Celia (Myles) and George Lord Gregg. During the early stages of World War I he enlisted in the Canadian Army with The Black Watch (Royal Highland Regiment) of Canada in September 1914 while still studying at Acadia University. He graduated with an Master of Arts in 1916. At the age of eighteen Gregg joined the 8th New Brunswick Hussars militia regiment. Gregg served during the First World War as a sergeant in the medical corps and later as an officer of The Royal Canadian Regiment. 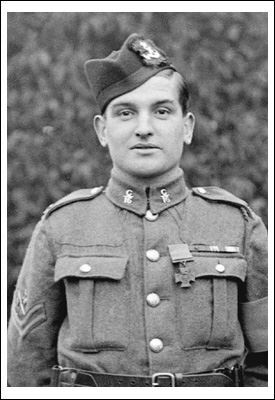 During combat on the Western Front in 1917, his actions earned him the Military Cross and in 1918 further valour added a bar to the Cross. Near Cambrai, Nord, France on 28 September 1918 his actions during the Battle of the Canal du Nord earned him the Victoria Cross. Lt. Milton Fowler Gregg, M.C., R. Can. Regt., Nova Scotia R. – For most conspicuous bravery and initiative during operations near Cambrai, 27th September to 1st October, 1918. On 28th September, when the advance of the brigade was held up by fire from both flanks and by thick, uncut wire, he crawled forward alone and explored the wire until he found a small gap through which he subsequently led his men and forced an entry into the enemy trench. The enemy counter-attacked in force and, through lack of bombs, the situation became critical. Although wounded Lt. Gregg returned alone under terrific fire and collected a further supply. Then rejoining his party, which by this time was much reduced in numbers, and in spite of a second wound, he reorganized his men and led them with the greatest determination against the enemy trenches, which he finally cleared. He personally killed or wounded 11 of the enemy and took 25 prisoners, in addition to 12 machine guns captured in the trench. Remaining with his company in spite of wounds he again on the 30th September led his men in attack until severely wounded. The outstanding valour of this officer saved many casualties and enabled the advance to continue." From 1934 until 1939, Gregg was the Sergeant at Arms of the House of Commons. Following the outbreak of the Second World War in September 1939, Gregg served overseas for two years with the West Nova Scotia Regiment and then commanded officer training centres at various military facilities in Canada and retired with the rank of brigadier in 1943. In 1944, Gregg was appointed President of the University of New Brunswick, serving in that position until 1947 when he was elected to Parliament as Liberal member for the York-Sunbury riding. Gregg served in the cabinets of Prime Ministers William Lyon Mackenzie King and Louis St. Laurent for almost 10 years as the Minister of Fisheries, Minister of Veterans Affairs, and Minister of Labour. Defeated in the 1957 election, Gregg went on to become the United Nations representative in Iraq, the UNICEF administrator in Indonesia, and the Canadian High Commissioner in Georgetown, British Guiana. He retired in 1968. He died on 13 March 1978 and is buried at Snider Mountain Baptist Church Cemetery in Snider Mountain, New Brunswick.